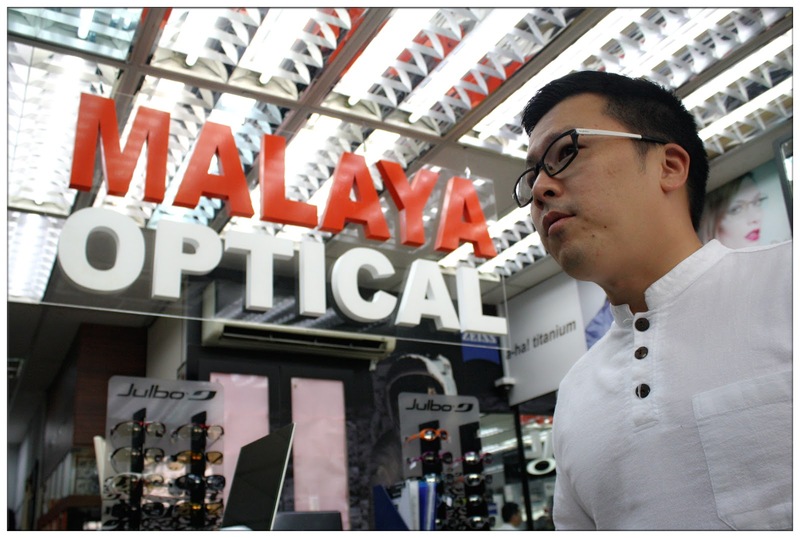 Located at Uptown area of Petaling Jaya, Malaya Optical is now in-charge by the third generation of Ho family, and this optical boutique store has been around since year 1957. 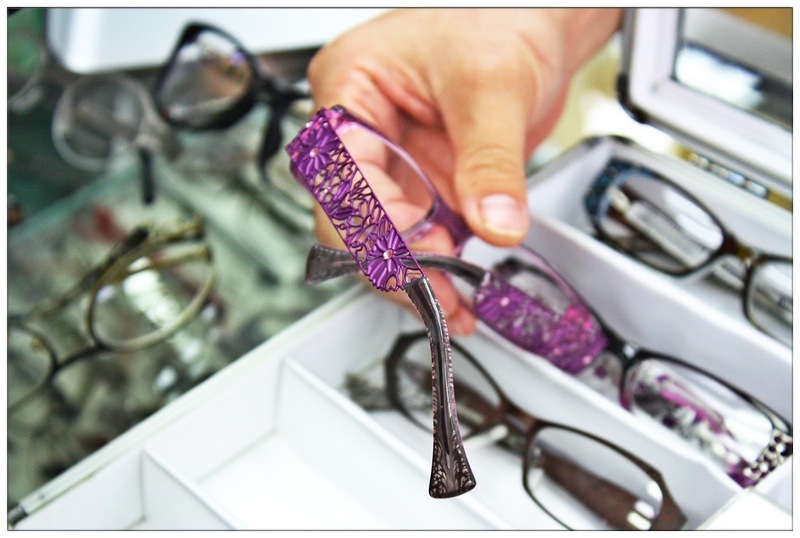 Originally named as Optik Malaya, Malaya Optical has been through a lot of changes in these few decades and has finally become The Eye Experience Boutique that is one of its kind. It was an unique experience to be invited to visit an optical boutique, especially when I don't have serious eyesight problem. I seldom visit optical store, so rare that I can count the times I visited one with only one hand. All the optical store I went looks the same, feels the same and even the people working inside talked the same. Guess what, not in Malaya Optical. Upon me and Jean's arrival, we're being greeted by friendly staff with cheerful voice and beautiful looking smile. Good first impression. Mr. Ryan Ho, the third generation who's currently in charge and running the business of Malaya Optical. Thanks to OnlyBeauty, Malaya Optical and Tammy from Plus Size Kitten, me and other bloggers got invited to experience the eye-care services provided by Malaya Optical, and it truly amazes me that how the services from Malaya Optical differs so much from other optical shop that aren't really enthusiastic about the business and the industry. Thanks to Mr. Ryan, I get to see how an Optometrist should be and how passionate he is about the optical industry. 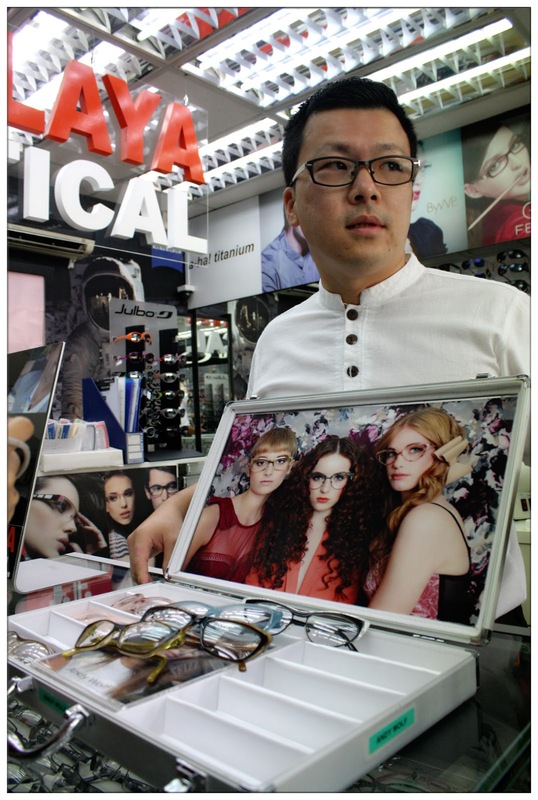 Introducing various of brands that brought into Malaysia market that only can find at Malaya Optical. Mr. Ryan keep showing all the unique designs of the oversea brands of glasses and frames he brought in. Forget those conventional designs you see in an optical shop nowadays as it is not the way it is anymore. Malaya Optical offers various of unique designs, materials and functionality of a glasses/frames for their customers to a point that I realizes I knew nothing about what's going on in this optical industry. These designs are things I never see before, or at least I never saw people around me own one, which will pretty cool for you to be one of the leader in the glasses/frames trend. Vintage cat eye style~ Meow!!! Fishie tried on the butterfly design from the French brand Parasite. So cool right!!! Coppe & Sid Handmade design eyewear from Italy. 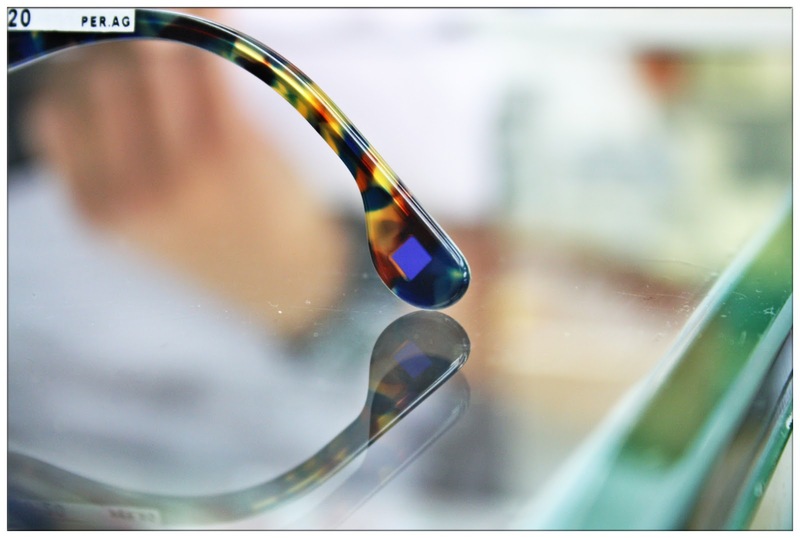 This thin silver of Lapis Lazuli inserted in the temple is one of the trademark of Coppe & Sid Eyewear. To be said have calming effect when wearing the eyewear. 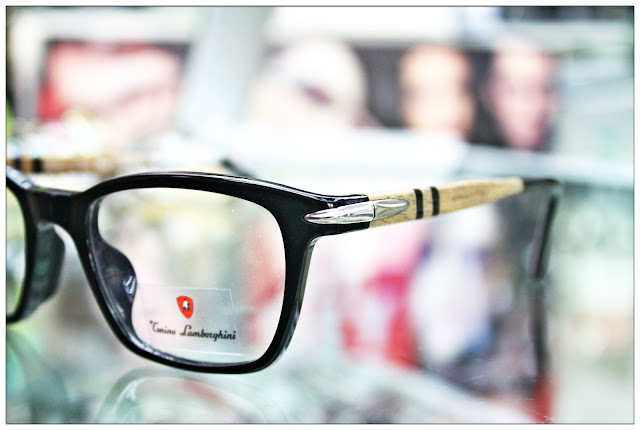 The frame of this Lamborghini eyewear are made of bamboo. Look at this unique handmade carving frame eyewear. 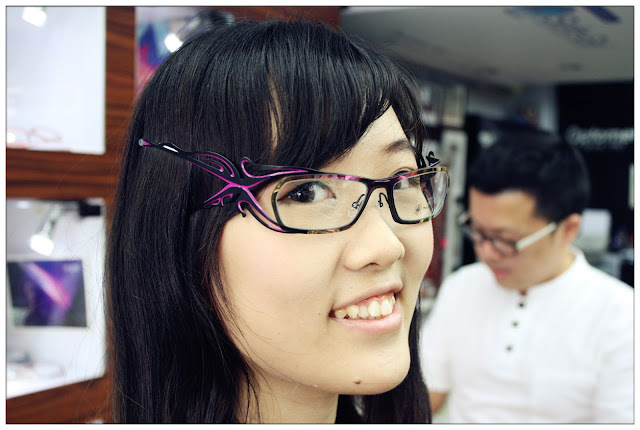 When Mr. Ryan show us this eyewear, most of the girls were amazed by how pretty the frame is! One of the unique frame of an eyewear I've ever seen. Malaya Optical offer what normal optical store has and also, on top of that they brought a lot of unique design eyewear that others doesn't. Here are some of the names of eyewear you can find in Malaya Optical: Coach, Tag Heuer, Fendi, Elle, Nike, Bonia, CK, BYWP, John Richmon, Sama, Zero RH, Rudy Project, Moschino, Benetton, Esprit, Max Mara, Rayban, Robert Marc, Sover, Viktor & Rolf, Viviene Westwood, Aha, Andy Wolf, Blackfin, Byblos, Coco Song, Coppe + Sid, Derapage, Derek Lam, Dutz, Eco, Face Fonts, GF Ferrer, Guess, Mykita, Jf Rey, Lafont, Lotto, Masaki, Modo, Parasite, Public, Spivvy, Staffan Preutz, Undostrial, Try Change, White Out Glare, Wolfgang, & Zottes. Amazing isn't? 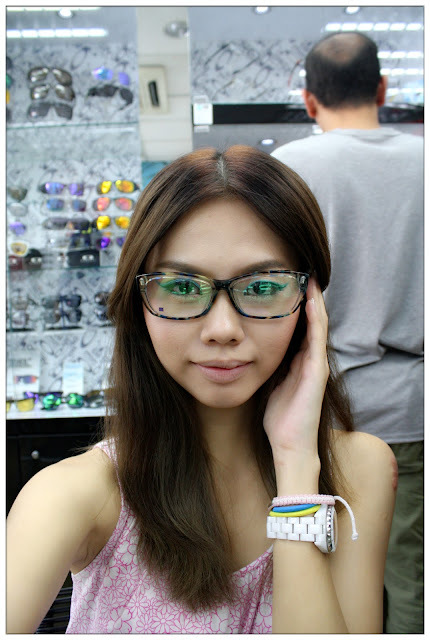 I was stunned by the brands Malaya Optical has. After showing us the unique eyewear designs, we followed Mr. Ryan to the other corner of the shop to see what other services available at Malaya Optical. 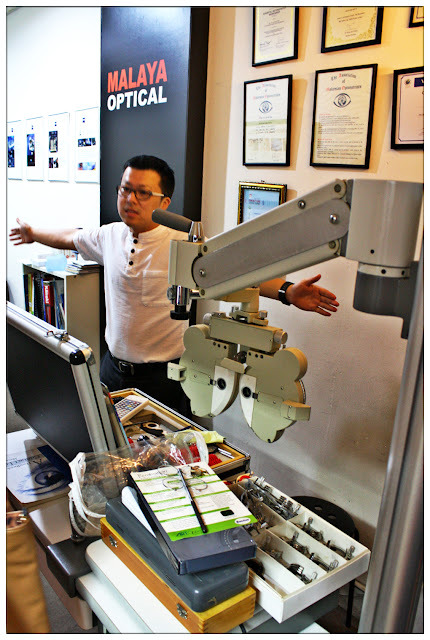 This i.Profiler machine is to detect the curves of your eyeballs so that they can make a perfect match contact lens for your eyeballs and you'll never have the problem of contact lens moving around. Did I tell you that the whole Malaysia only have few of this machine? Malaya Optical really taking their eye care business seriously! Little did I know that Vision Screening room of an optical store has a standard measurement of the length of the room, and most of the optical store didn't fulfill the requirements of an international standard vision screening room measurement. 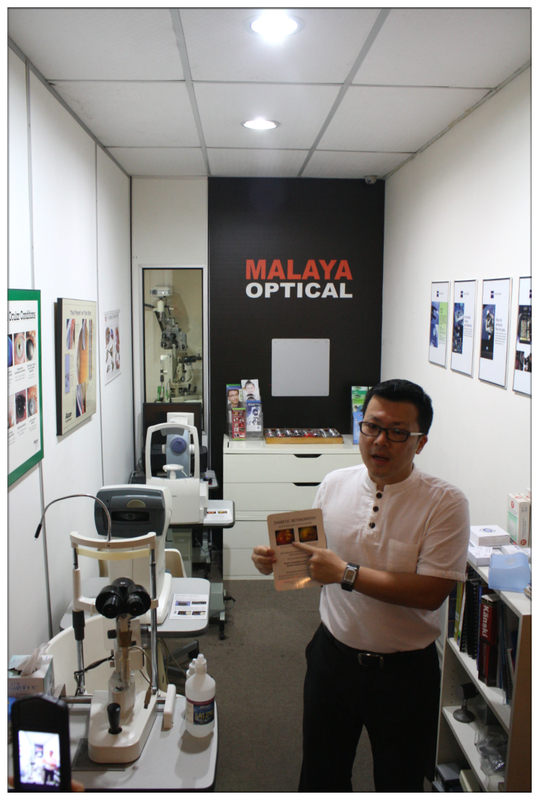 Malaya Optical have this requirement fulfilled as well as they have all the equipments needed to examine your vision. 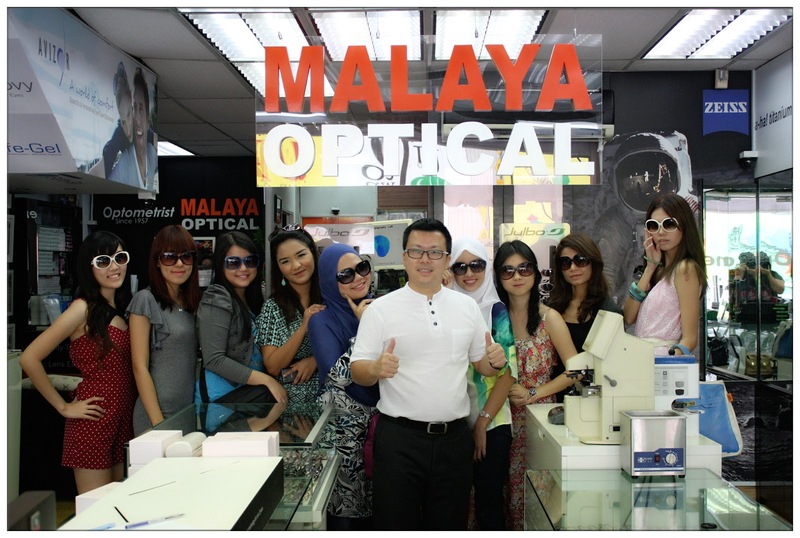 Not to mention that all the optometrists working at Malaya Optical are certified as qualified professional optometrist. Mr. Ryan telling us more about the knowledges of visions and eye care. It was such a fun experience to have visit Malaya Optical and to have learned so much about eye care and the professional services Malaya Optical offered to their customers like no where else. 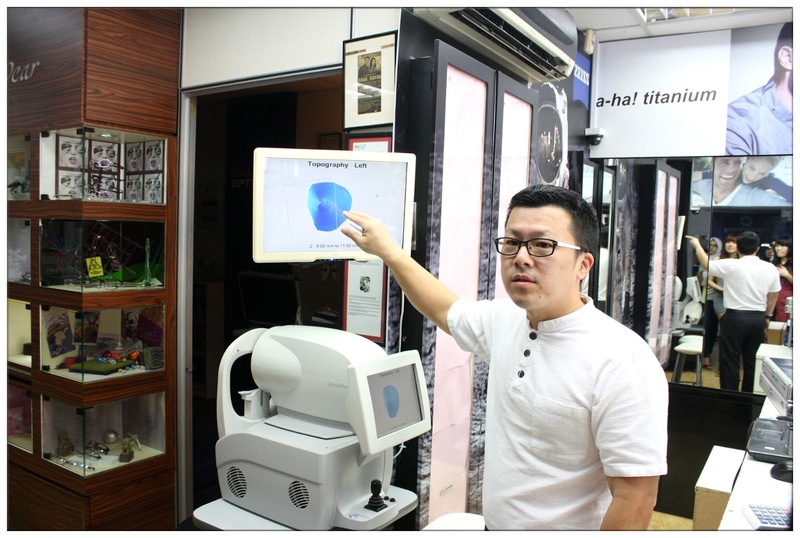 I am amazed by their professionalism as well as friendly attitude and passionate about eye care that Mr. Ryan and his staffs showed. Definitely will be my first choice next time if I have to go for vision examination or other eye care services. Thank you Mr. Ryan, Only Beauty, Tammy and all the bloggers who made the event a fun one! Posing with Paris Hilton sunglasses, will blog about it next!